The celebrated Renaissance poet Vittoria Colonna was born into a powerful noble family. In 1509, she married Francesco d’Avalos, marquis of Pescara; many of her early works are love poems addressed to her husband. After he died in 1525, Colonna lived in various convents, where she held Sunday salons attended by the leading intellectuals of her day. 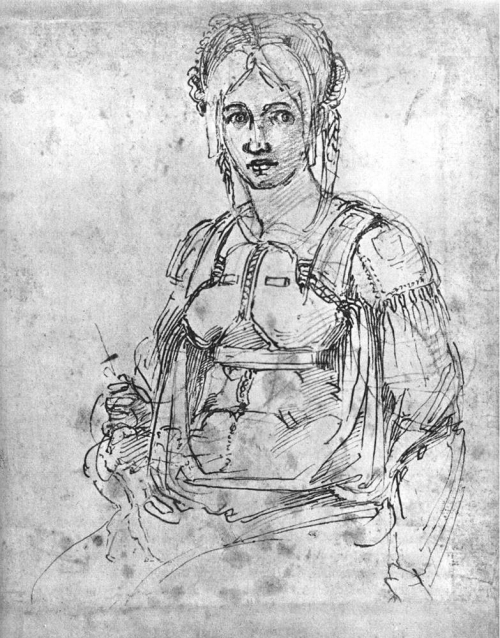 Colonna counted among her friends the artist Michelangelo, with whom she established a profound bond. A central figure in literary and theological discussions, she nevertheless refused to publish her poetry; the first collection of her works appeared in 1538, without her participation. Her later years were plagued by illness and personal difficulties. Certain of Colonna’s religious views bordered on heresy in Vatican circles, and her support of the reformist Capuchin order prompted an Inquisitorial investigation. When she died in 1547, Michelangelo was at her side.